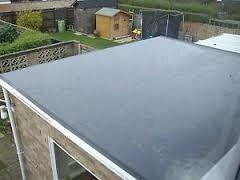 A fully qualified and highly skilled roofing and loft conversion company based in Croydon.We are a friendly and reliable team who work hard to maintain our reputation as one of Croydon's most trustworthy roofing companies. We pride ourselves on offering a hassle free and affordable service where the customers needs always take priority, as do excellent quality workmanship and operating to modern standards. As a company we are confident that we can meet all your requirements on your next roofing project and also exceed your expectations when it comes to quality and affordable roofing services. Our team members are highly skilled in the roofing trade and have built up a wealth of experience over the years, so no job is too demanding for us, as we have all been trained to deal with every situation that the roofing trade can offer. Had a small roofing problem - some loose slates. John arrived earlier than his appointment and fixed the loose slates there and then. It took about fifteen minutes and he was polite and very reasonable. I would not hesitate in recommending him to my friends. Flat roof, roof dome and guttering. Contacted John by email and delighted to receive a very quick response followed within days by visit and quote. Quote very reasonable compared to others. Expected to have to wait but booked in within a few days. Always arrived on time worked very hard all day without seeming to take any breaks and extremely polite and helpful.Very happy with the work done and wouldn't hesitate to use them again. Flat roof looks much better then old felt roof and will last much longer. Roof dome installed in flat roof has transformed the hallway and guttering not leaking for the first time in 20 years. So pleased to have found a proper professional roofing company who I will continue to use for many years to come. Solid job at a sensible price. Cheerful can-do company, no unexpected surprises and a good result. I had many roofing companies come and quote for the job, all contradicting each other. I chose to go with J B Good Roofing as they were not trying to sell an expensive solution (which they in fact said wasn't even suitable) They did the work really quickly (half a day) other companies had said a week at least! The work seems to be good and the leak has stopped. The cost was also reasonable, and I am very happy that I went with them. A Roofing company I will use for life! John was the only roofer that actually went up to the chimney to have a look at exactly what was required. On the day of the quote, he had promised to arrive at 9am, arrived at 9:03 and apologised for being late!! The job has been carried out fantastically, and even had a quick look around and replaced some tiles that needed replacing for no extra cost. Behind John and the guys is Lisa who manages the office. She too is excellent, there is always someone to answer emails and calls. You're never left hanging. We recommend these guys!